There is this feeling I get every September. And it might be strange, because most people see in this month the end of the summer. I personally have always felt September as a beginning. Maybe it is because when we were children we started school in September. This meant personal mobilization (mostly "inspired" by our parents). Or maybe is because when the heat has left is easier to concentrate and think constructively (not about beaches and naps). 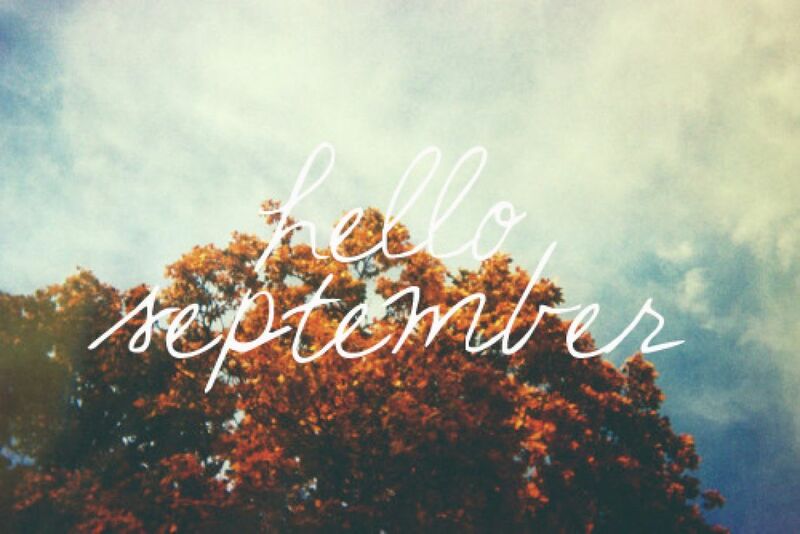 September smells like sun, autumn leaves, grass and fresh paint. The wind is blowing away the summer heat and you are seeing the world in a completely new way. Whatever the reason there is something very inspiring for me in the beginning of the autumn. It is then when one has gathered all his/hers thoughts. The effects of the summer relaxation make you ready to rock and roll. The creative energy runs through the body and mind and the feeling is like you can do anything. . Have you noticed it? In September always happen changes. Maybe there is some unconditional truth in the cycle of life. The season changes and that affects people in more than one way. No matter how modern and disconnected from nature we've come in the end our rhythm is its rhythm. The changes are meant to be done is autumn and spring. The other two seasons just demand of consistent work (laying on the beach is working too, you know). September opens the gate for the season that inspires you to make your dreams come true.